Magic is made when one pairs Kansas City Barbecue with local Texas beer. 18th & Vine, new to Maple Avenue in Oak Lawn, is quickly becoming one of DFW’s hottest BBQ joints. After settling in Dallas, Matt Dallman, Kansas City native and 18th & Vine owner, bought a smoker and began perfecting his BBQ style. After Matt found success in the barbecue catering business and competition circuit, 18th & Vine was born in October 2015. Chef Scott Gottlich has created a menu packed full of mouth-watering meat and BBQ-inspired entrees. From salads, and fish, to piles of meat, and the best fried okra you’ll ever have, there’s something for everyone. The classy, masculine interior has nods to its jazz roots that originated on the intersection of 18th and Vine Streets in downtown Kansas City. Upstairs, you’ll find The Roost, a casual late-night bar for live jazz music, appetizers, and drinks. 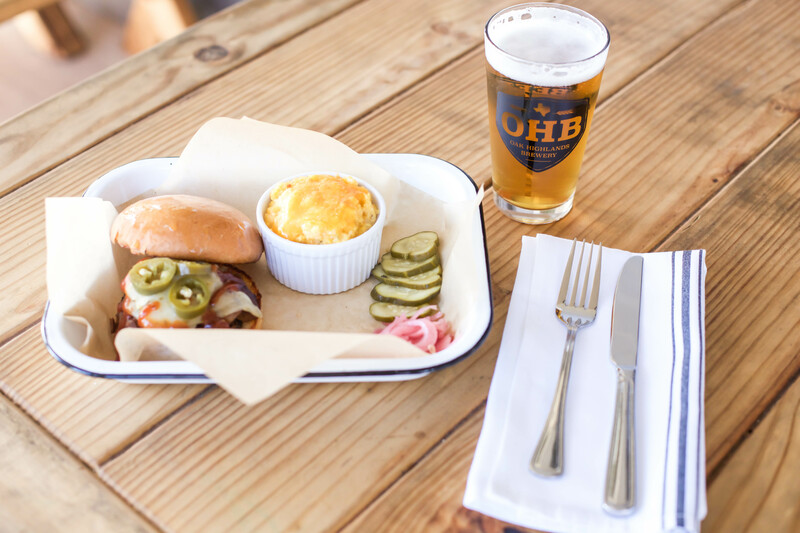 Here’s what we recommend for lunch: The Basie Sandwich (chopped brisket, pepper jack, jalapenño) and a side of jalapeño cheese grits with an OHB Golden Mustache. 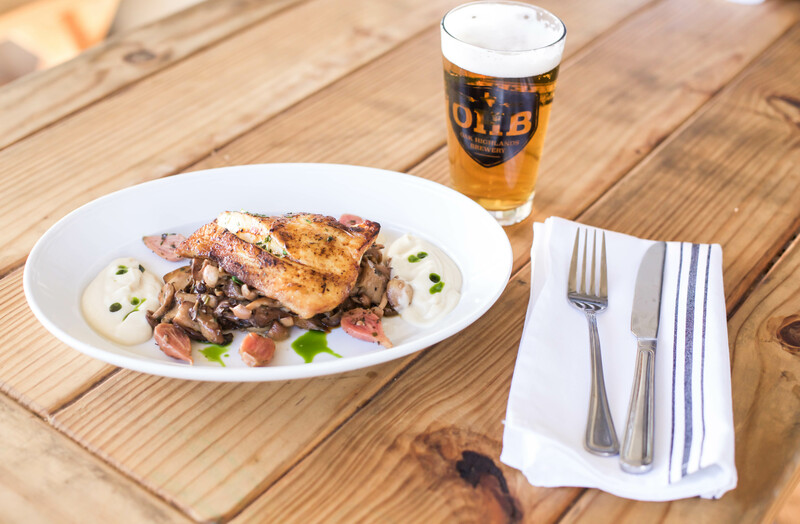 Here’s what we recommend for dinner: The Grouper (sunchokes, good-one beets, mushrooms) with an OHB Golden Mustache.